Boone is a beautiful mountain town located in the heart of the Blue Ridge Mountains near the Grandfather Ranger District and neighboring Blowing Rock. Boone is home to Appalachian State University and is around the corner from Beech and Sugar Mountain ski slopes, providing year round excitement with skiing in the winter and mountain biking and hiking in the summer. So, it comes as no surprise that Boone's real estate market is hot, hot, hot and the demand for a quality home inspector in Boone has never been higher. At Mountains to Sea Inspections we have you covered. The vast majority of the home inspections in Boone that we do are Pre-Purchase Home Inspections or Buyers Inspections. These are the home inspections that are performed during a buyer's due diligence period and it is vital to giving the buyer and their real estate agent the complete picture of the condition of the home and become an aid in the negotiation of repairs. Please use the links below to see more details on our home inspections services that we offer. A home is a lot like a car or truck in that it needs regular maintenance and up keep to provide you with years of flawless activity. At Mountains To Sea Inspections we realized that there was a need for residential maintenance inspections in the Boone area. By providing three levels of maintenance inspection, we allow the homeowner to detail how much to look at and what service we can provide. The smart homeowner knows that it is always cheaper to maintain a home, then it is to repair or replace parts of it. 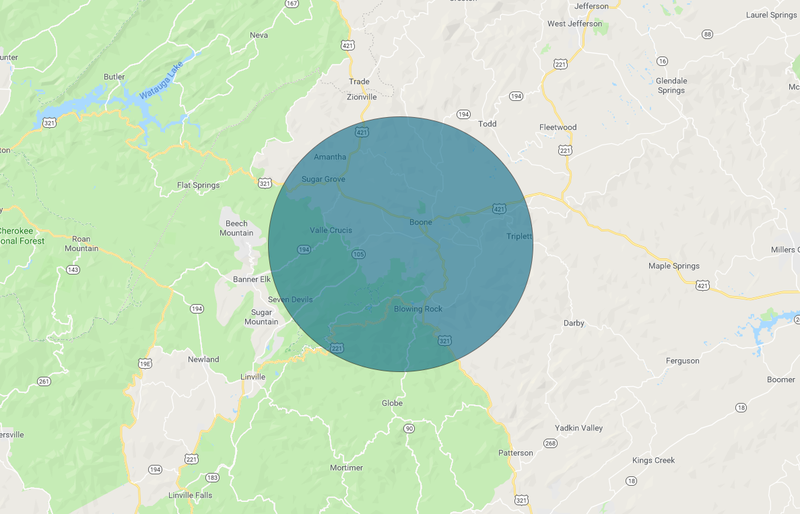 When you search for home inspectors near me on Google Maps you get so many options, but make sure you check the ratings of the home inspections companies in Boone before making your selection. Mountains to Sea Inspections started out as Blue Ridge NC Home Inspections in Asheville around November 2013, when two NC General Contractors and local builders wanted a change of pace. They set their sights on the home inspections industry in Boone. Home inspectors in Boone need a deep knowledge on the fundamentals of home building and the environmental and topographical challenges that exist when building in a mountainous area. Mountains To Sea Inspections brings not only 60 plus years of construction experience to all of our Boone home inspections, but having lived in the area for several decades we understand the factors and forces that are constantly affecting your home. Make sure when choosing your next home inspections company in the Boone area you choose the one with the most 5 Star ratings and the deep construction knowledge that can uncover the defects in a home before you purchase.